This post continues my blog post series on SEC Regulation Best Interest. A note to long-time readers of this blog: You may have noticed that I haven’t been posting for a while. This is due to the launching of my RIA firm Bantam Inc. I have posted over 20 blog posts on that site in the past three months. They cover investments and should be of interest to anyone involved with securities litigations. There are also many posts with attorney-related content. You can find those here. One of the most significant changes from the FINRA suitability regime to SEC Regulation Best Interest (“RBI”) is a move from subjectivity to objectivity. While there are some objective elements to suitability, such as what needs to be included in a client profile, the actual suitability determination is subjective. This will change under RBI. What the SEC has proposed is not only a new standard of best interest, but a five-part test to satisfy that standard. The proposed standard of conduct is to act in the best interest of the retail customer at the time a recommendation is made without placing the financial or other interest of the broker-dealer or natural person who is an associated person making the recommendation ahead of the interest of the retail customer. A few quick points on the Best Interest standard. This is a critical distinction between RBI and the fiduciary standard to which registered investment advisors are held. A fiduciary is held to the best interest standard in all their dealings with the client, not just for recommendations. Also, the fiduciary standard is continuous and operates throughout the relationship, not just when recommendations are made. The Commissions preliminarily believes this proposed definition is appropriate, and in particular, the limitation to recommendations that are “primarily for personal, family or household purposes,” as we believe it excludes recommendations that are related to business or commercial purposes, but remains sufficiently broad and flexible to capture recommendations related to the various reasons retail customers may invest (including, for example, for retirement, education, and other savings purposes). There is no such distinction under the fiduciary standard. Under RBI, business accounts would come under the FINRA suitability rules. In my next post, I will unpack the five elements that must be satisfied. Note to securities litigators: I am working on a white paper on RBI and as part of that have been conducting a survey of attorneys involved with customer disputes. If you would like to participate in the survey (it’s only six questions), please send me an email at: jack@accelerant.biz to schedule a call. SEC Regulation Best Interest; Release # 34-83062; April 18, 2018; 1. Id. at 82. “The Commission proposes to apply Regulation Best Interest to recommendations of any securities transaction (sale, purchase, and exchange) and investment strategy (including explicit recommendations to hold a security or regarding the manner in which it is to be purchased or sold) to retail customers.” Emphasis added. Notes omitted. FINRA has identical language under Regulatory Notice 12-25 at Q7. Id. at 83-4. Notes omitted. 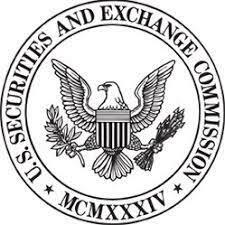 For information about SEC Regulation Best Interest expert Jack Duval, click here. © Copyright 2012 www.accelerant.biz, All Rights Reserved.